If you run Windows 10 on a touchscreen device, tablet mode Continuum: Switch Between Windows 10 Desktop & Tablet Mode Continuum: Switch Between Windows 10 Desktop & Tablet Mode Windows 10 recognizes your hardware and instantly chooses the best display mode. When you connect your Windows 10 Mobile to a larger screen, you'll get a PC-like experience. That's the smoothness of Continuum. Read More can be a great feature. It shifts the interface in a way that makes it more suitable to wide fingers and the lack of precision that comes without a mouse. One thing missing from Windows 10’s tablet mode is the ability to auto hide the taskbar 6 Steps to Fix Your Windows 10 Taskbar Issues 6 Steps to Fix Your Windows 10 Taskbar Issues Is your Windows 10 Taskbar not working? Here are fixes for the most common Taskbar issues, like freezing or auto-hide not working. Read More as you would in the traditional Windows 10 UI. 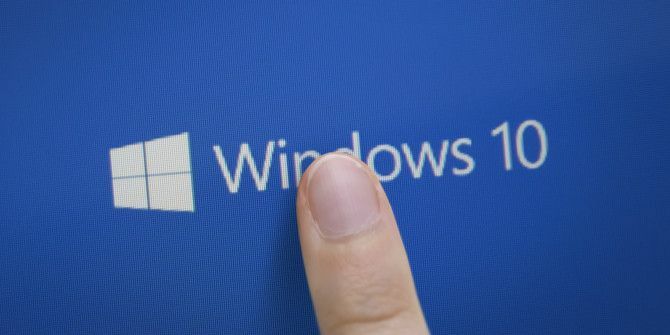 Once you have build 14328, you simply need to touch and hold the taskbar (which functions as a right-click in touch screen mode) then tap Automatically hide the taskbar. When you switch back to desktop mode, the taskbar auto hide option will not transfer over, so you’ll need to set it by right-clicking the taskbar and setting it there as well. Remember, to get this feature now you’ll need to download a preview build of Windows 10, and that doesn’t come without issues and risk. If you prefer to stick with release builds, you’ll have to wait a little bit to get access to this feature! Are you a Windows Insider, or do preview builds scare you? Let us know in the comments! Explore more about: Windows 10, Windows Tablet, Windows Taskbar.